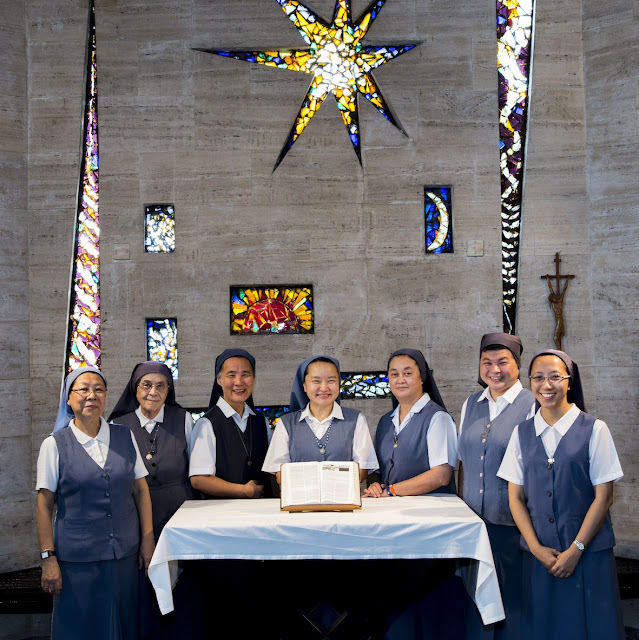 The Daughters of St Paul is an international religious congregation who are called to live and give Jesus Master, Way, Truth and Life to the world. We use every available means of communication to spread the Gospel and promote the dignity of all peoples. We are part of the Pauline family founded by Blessed James Alberione. The Pauline Family was raised up by St. Paul as a means of continuing his work. St. Paul is once more alive, but composed today of many members. 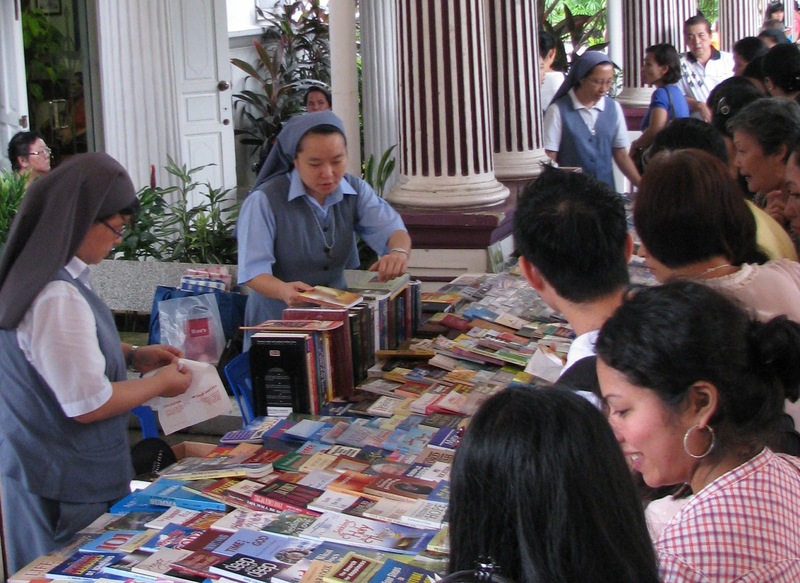 The community of the Daughters of St Paul in Singapore was established on 1st May 1994. Our convent is located at 47 Jurong West, Street 42, and there are at present five Sisters ministering in Singapore. One temporary professed Sister is studying in Taiwan and two Sisters are serving as missionaries in Italy and Hong Kong. Over almost two decades, the Daughters of St Paul has written and produced books and videos, set up an Apostolate of the Media shop at Church of the Risen Christ (Toa Payoh), participated in the Singapore Book Fair, and organized many book and media fairs in parishes. We also reach out to schools and conduct Media Literacy sessions for youths and adults. 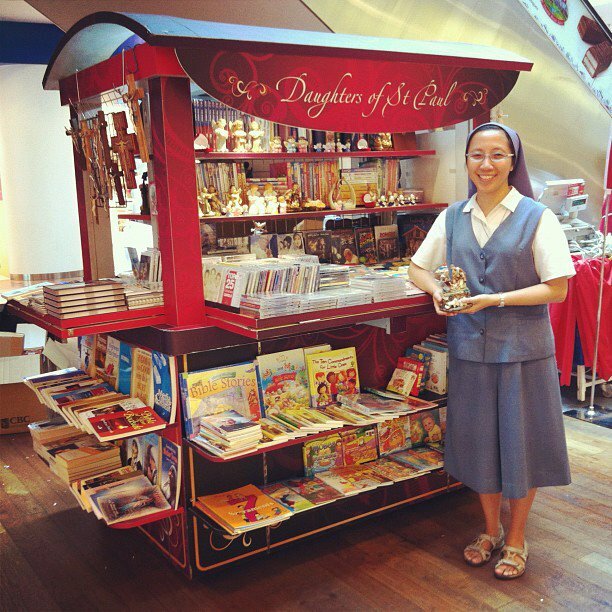 Our Christmas project is Bringing Christ to the Marketplace – a yearly outreach at Jurong Point shopping mall through book and media sales at a pushcart on the ground floor of the mall.